Many people think of eating tofu as a sort of penance. Yes it’s good for you, low in fat, high in protein – particularly good for women – but it can be very bland. If you are not vegetarian or vegan you might force yourself to eat some once a month just so you can feel virtuous. In the end, though, it is tofu’s very blandness that makes it such a wonderful sponge for tasty sauces. Chinese cooks love tofu, one of their favourite dishes is a combination of pork mince and tofu in a delicious spicy Sichuan sauce called Ma Po Tofu. 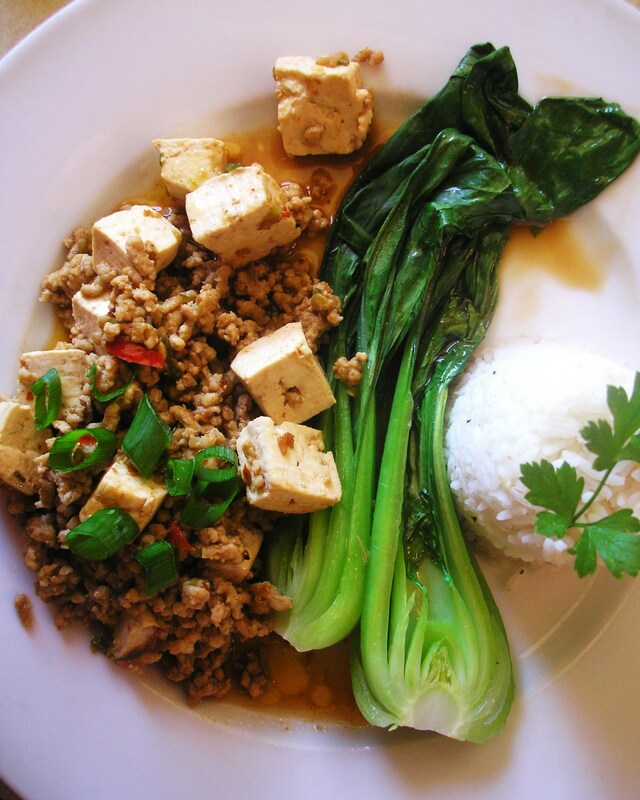 Ma (mazi) means someone who is pockmarked so the dish is often translated as ‘pockmarked lady’s face tofu’. Legend has it that this is because the old widow who first made the dish was disfigured with pockmarks. I don’t know if this is the case or if the name comes from the appearance of the dish. Whatever the true explanation it is certainly an interesting name! Here’s the recipe for the spicy version I made. Finely dice the chillies (leave in the seeds if you like it hot, remove them if you don’t). Pound to a fine paste with the chilli flakes, Sichuan pepper and salt. Stir in vegetable oil and set aside. Turn tofu out onto a board and cut into cubes by cutting lengthways into four slices and widthways into five slices. Heat vegetable oil in a wok until the surface is shimmering. Add pork mince and stir fry for about 3 mins. Remove and set aside. Add chilli paste to the wok with the ginger, garlic, and black beans – reduce heat and stir fry for 2 mins stirring constantly. Return the pork to the wok, add wine and stir fry for 1 min. Add soy sauce and sugar and stir fry for 30 sec – 1 min. Add water and bring to the boil. Reduce to a simmer and gently slide in the tofu cubes separating as you go. Simmer gently with the lid on for 4 mins. Sprinkle with the salt and Sichuan pepper mixture. Serve with rice and Asian greens. 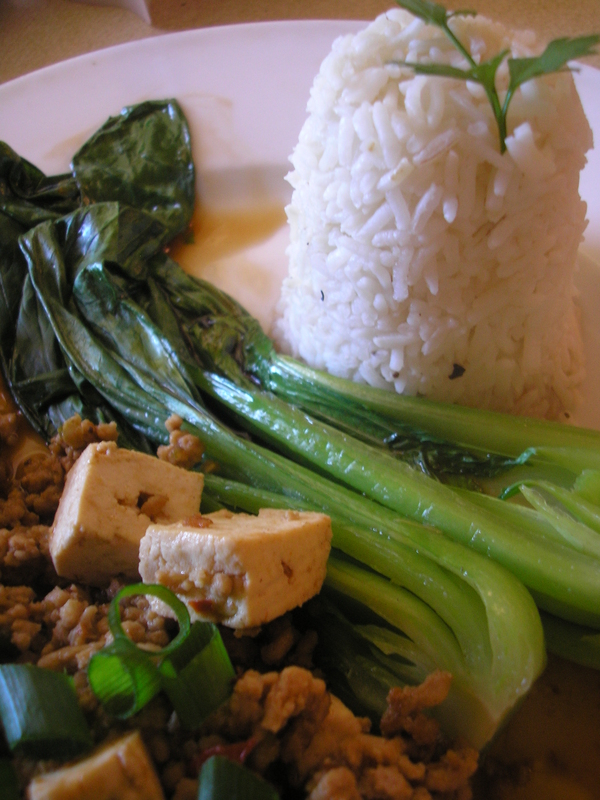 Vegetarians could substitute a variety of Asian mushrooms for the pork mince.